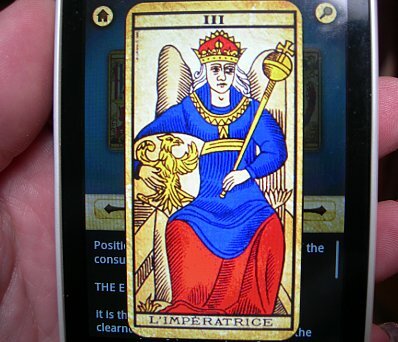 I'm not such a die hard Tarot fan, but I'm a complete sucker for old Tarot decks and their awesome graphics. This app for my Android phone is called Tarot of Marseilles Lite. 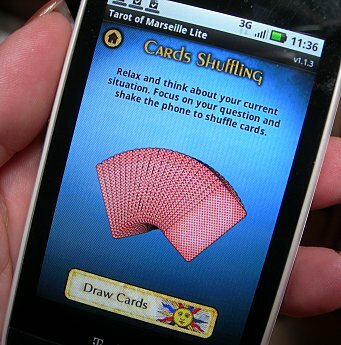 So cool, you "shuffle" the deck by shaking the phone, before drawing your 3 cards. 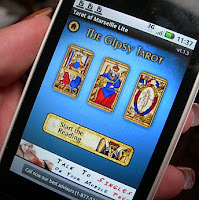 ﻿All the graphics are bright and clear, even the buttons and navigation are well illustrated. The interpretations are fairly brief and seem to be translations into English by a non-Native speaker, but they are quaint. You can draw a spread relating to Family, Love, or Career questions, and the interpretations are geared toward each type of question. One of my Etsy customers, Anna from The Quail's Nest, shared with me what she's doing with my tiny little bottles. 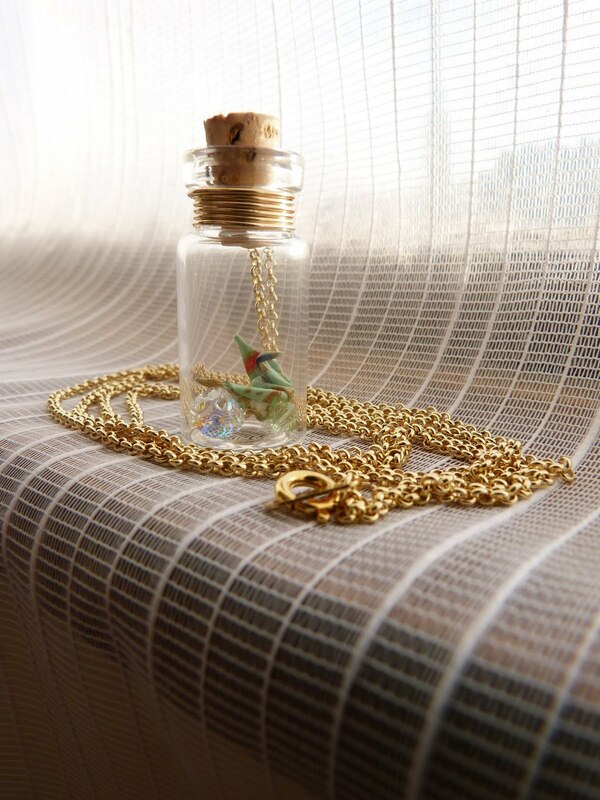 Check it out -- each necklace holds a bottle as a pendant, and each bottle contains a tiny little origami bird. >>> is giving part of the proceeds to aid Japan earthquake victims. 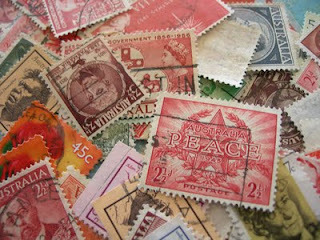 Anna posted more pictures on her Facebook wall. 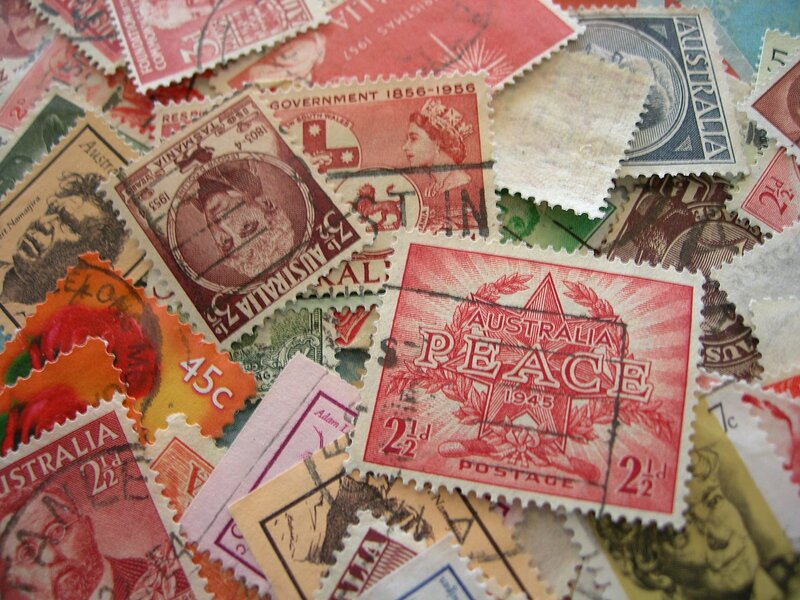 Anna, thank you for sharing! 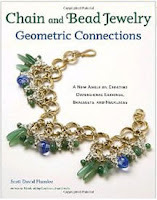 The full title is Chain and Bead Jewelry: Geometric Connections, by Scott David Plumlee and it's chock full of truly wearable stuff. I have to admit I'm not a huge fan of chain maille jewelry, but these projects were actually tasteful and interesting -- I love the geometry of the finished pieces, which present interesting shapes that catch your attention without being too bulky or genre-specific. 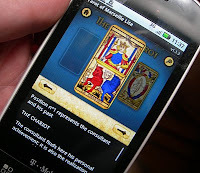 Large, readable pictures accompany every step, and the pictures are accompanied by clear text, materials lists, etc. I have a lot of trouble deciphering chain maille instructions from text and/or photos (do much better when someone shows me in person), but these larger-than-life photos really helped. 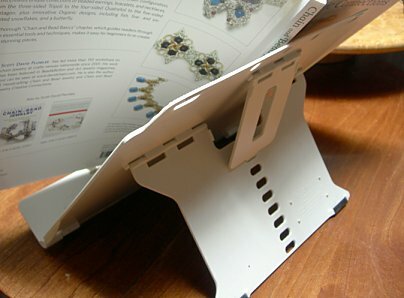 In some cases you do have to refer to the front of the book for basics, but for the most part, everything you need is right on the page you're working on. 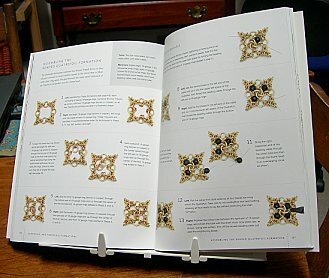 The book is organized into technique and shape sections (Byzantine, Tripoli, Triangle, Pentagon, etc), and within each section are "matching" projects -- usually necklace, bracelet and earrings, but some sections also include other projects, such as key fobs and clasps. So I was thrilled to be able to try two pairs of earrings (still haven't gotten around to the larger projects) using materials I had on hand from a previous chain class. I guess we are spoiled in Albuquerque to have so many jewelry supply places around town, but even if you don't, you can order materials online or make them yourself.